So you’re going to Austin! 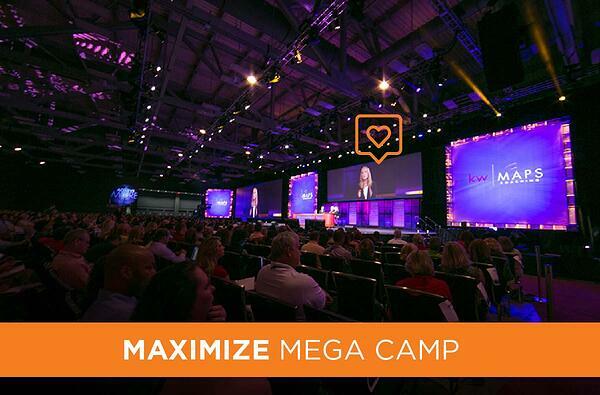 Attending Mega Camp is one of the smartest moves you can make as an agent. There’s no better place to learn from the industry’s top mentors, connect with other associates, and to discover new vendors that will make you more successful. At Landvoice, we truly want you to have the best experience possible--to completely maximize your time at Mega Camp. We’ve been a part of Mega Camp for years, and along the way have learned a few tips and tricks. Check out our list of things to do before, after, and during the show. We’ve also included some of our favorite things to do and see in Austin, so you can make the most of your time both during the day and after hours. Check them out and let us know if you have any questions! Are you coming to Mega Camp with a team? Split things up amongst yourselves. Give different team members assignments to attend certain speakers, talk with specific coaches, and visit various booths. One of the biggest benefits of attending Mega Camp is building relationships with other KW associates from around the country. Think of it this way: often times an agent’s seller may need help finding an agent in the location where they’re moving. As you know, many agents will give referral fees for helping them secure these clients. This is a great time to form these connections! Be sure to bring business cards and don’t forget to connect with other associates on social media. No matter what you’re looking for, including generating more leads, tracking the transaction process, organizing your business more efficiently, or growing and supporting your team, there will be vendors to help you at Mega Camp. Be sure to visit each one, regardless of any preconceived opinion you might have about their services. Check them out! Chances are, they will be able to do much more for you than you ever thought possible. Many will even give you a sizable discount for trying their services at the event. You’ve probably told some of your clients that you were going to be out of town, so why not document it for your friends and followers to see! Share what you’ve learned and the exciting things you’ve done. Make sure you keep track of what you learn while you’re here. Take detailed notes so that you will be able to return home and implement everything you’ve learned. Consider using some sort of color coding or sticker system to make it simpler. Whether it's using classic highlighters, each color for a different topic, or finding your favorite note taking app, this will make your life so much easier. Love a certain class or speaker? Let them know! It can be super easy to connect with your favorite thought leaders through social media, texting, or emailing. This could be the beginning of a very beneficial connection. Conferences like Mega Camp are a change to work ON your business, not IN your business. Really dive in while you’re here and leave the distractions at home. While it’s great to use your phone for note taking and networking, avoid constantly checking your email and listening to voicemails while you’re here. Instead, really focus on learning how to find more clients and how to offer better service to the clients you already have. Iron Works Barbecue You’re in Texas—you have to have some barbecue. Look no further than this Austin original serving up ribs, pulled pork, sausage, and more delicious options. And, best of all, it’s literally right next door to the convention center! Juan in a Million Being so close to the Mexican border means the Mexican food in Austin is delicioso. Everything, including the tortillas, beans and salsa, is made from scratch and made fresh everyday. You have to try their specialty, the Don Juan taco, a unique combination of potatoes, eggs, bacon, and cheese. 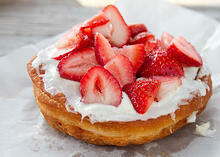 Gourdough’s Specialty Doughnuts Now for something sweet. You have to make a quick stop by this famous food truck to try their “big fat donuts.” Be sure to try the Miss Shortcake with cream cheese frosting and fresh cut strawberries. While in town, make sure you take time to see a few of the sights that keep Austin weird. South Congress Avenue Dive into Austin culture by visiting this classic cultural area. Check out the wide range of unique stores, eateries, art galleries, and music venues. This is a must see! Congress Avenue Bridge / Austin Bats One of the things that makes Austin so unique are the bats. 1.5 million bats, to be exact. Head down to Congress Avenue Bridge between 8 and 9 pm to see these bad boys make their night flight at 60 mph. LBJ Presidential Library Time travel to the turbulent 1960s and learn about the life and presidency of Lyndon B. Johnson. Check out the 30 acre site at The University of Texas. After a long day at the convention center, who doesn’t want to enjoy some time at one of Austin’s nightclubs? No matter what you’re in the mood for, Austin is home to 200 different venues offering rock, jazz, hip hop, blues and Latin shows. Broken Spoke What would a trip to Texas be like without a visit to a honky-tonk dance floor? Get your swing or two-step on at this authentic Texas dancehall which over the years has hosted artists like Willie Nelson and George Strait. And don’t forget to try some of their famous barbecued meats or chicken fried steak. Speakeasy Step back in time at this Austin classic. Enjoy yourself at any of the three different areas inside where you feel transported to the 1920s: the Music Lounge, the Mezzanine, and the rooftop area Terrace59, which has one of the most spectacular views of the downtown Austin skyline. Continental Club While in Austin, consider checking out the city’s premiere old school music club. Countless legends have performed at this iconic venue, including Stevie Ray Vaughn, Willie Nelson, and Joe Ely. And with the awesome retro interiors, you’ll find a quintessential Texas experience. While at MegaCamp, you’ll definitely be spending a lot of time inside. A visit to Austin wouldn’t be complete, though, without exploring some of the city’s beautiful outdoor spaces. Lady Bird Lake Hike-and-Bike Trail You have to check out these 10 miles of trails in the heart of the city. Bordering Lady Bird Lake, the views are incredible no matter where you are. Feel free to run, walk, or cycle. Mount Bonnell Get out of the city for a bit and see a breathtaking view of Texas Hill Country. Take an easy walk of 100 steps and you're there! Come see one of the reasons why people love Texas so much. 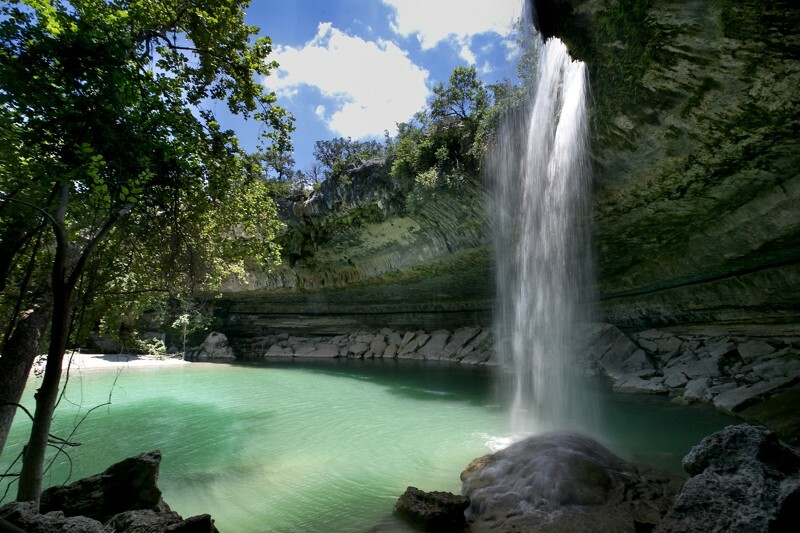 Hamilton Pool Texas in August can be super hot, so why not check out this gorgeous natural swimming grotto? Call ahead to make a reservation though—it can get busy! You met a lot of great associates while at Mega Camp, but they did too. Make a lasting impression by sending an “It was nice to meet you and I’m looking forward to _______” text, tweet, or FB message. If you didn’t already at the show, go ahead a make a list of action items you made with the various coaches and send it to them. They definitely have a lot on their plate, so a little extra reminder won’t hurt. And this will remind them (and you) of what you discussed and keep you both accountable. You’ve probably been in this situation before: you go to a show, meet a lot of great companies, and are super excited to make things happen. But once you go home, life gets busy, and a few months pass without any changes. Don’t let this happen this time! Right when you get home, review your notes and sign up for the trial accounts you want and get in contact with those vendors you’re most excited about to make the next steps. Now that you’ve read through our suggestions, pick your favorites and make them happen. From all of us at Landvoice, we hope you have a great time at Mega Camp!